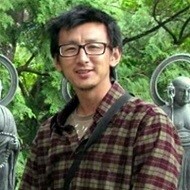 The India-Bhutan Cultural Exchange and Art Camp is a unique platform for artists of India and Bhutan to learn about each other’s culture through interaction and artistic collaboration over the span of ten days in each other’s country; first five days in Bhutan and the other five in India. During the Art Camp, Indian and Bhutanese artists -- five from each country -- will engage, interact, and take inspiration from their discussions and environment to produce artwork resulting from the experience. The artwork thus produced would then be exhibited and promoted as a joint effort between the two countries in the field of arts. The programme aims to build cultural awareness and positive cultural relations between the two countries by providing a common platform for artists to come together, interact, get inspired and thus expand the scope of their own art form. The exchange of ideas during artistic collaboration will not only stimulate the creative environment but will also help in maintain a continuous and harmonious interaction required between countries, thus strengthening the existing, uniquely close and mutually beneficial relationship between the two countries. India and Bhutan share cultural lineage and hence this programme is also a wonderful opportunity for the artists to rediscover a shared history and a chance to work upon a shared vision for the future. The artwork they produce could further be used as inspiration for aspiring artists and also serve as an example for bilateral efforts in the field of arts. The first India-Bhutan Cultural Exchange and Art Camp was held in 2016 from 14th to 18th June, in Paro, Bhutan. The Indian half of the Art Camp will be held in Delhi from 2nd to 9th February 2017. G R Iranna is an artist whose work transcends the boundaries of time and space. Born in 1970, its been barely ten years since he started painting professionally, and already his work is mature and profound. Many of Iranna`s paintings depict pain as an abstract force that is translated visually in bruised textures and razor sharp cutting edges. His painting has always been far removed from an overriding, postmodern logic. Instead, Iranna uses the idealistic, representative and modernist language of Indian contemporary art. 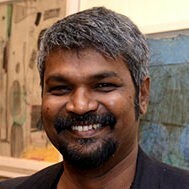 In 1992, GR Iranna acquired his Bachelor of Fine Arts Degree from the College of Visual Art, in Gulbarga. Two years later, he got his Master`s degree in painting from the College of Art, New Delhi. Between 1999 and 2000 he acted as artist-inresidence at Wimbledon School of Art, London. Iranna`s first one-man show was held in 1992 at the College of Visual Art, Gulbarga. Since then, he has shown at: Delhi Art Gallery and Jehangir Art Gallery, Mumbai in 1995; Gallery Espace, New Delhi in 1998; `In the Shadow of Buddha` at Gallery Martini, Hong Kong in 1999; Wimbledon School of Art, London in 2000; Maulana Azad Centre for Indian Culture, Cairo in 2000 and The British Council & The Guild Art Gallery in 2001. Iranna has also participated in several group shows including at the Chitra Kala Parishad, Bangalore in 1990; Schoo`s Gallery, Amsterdam, Holland in 1995; Vedanta Art Gallery, Chicago, U.S.A. in 1998; `Icons of the Millennium` at Gallery Lakeeren, Mumbai in 1999 and `Black & White` at Art Today, New Delhi in 2000. Iranna has received national and international recognition throughout his career. His awards include those at the All India Exhibition in Mysore and the College of Visual Art, New Delhi in 1992-92, the Bansi Parmimu Memorial Committee, New Delhi and the Delhi College of Art in 1993. In the same year, he won the MF Husain and Ram Kumar selection award at `In Search of Talent` by Vadhera Art Gallery, New Delhi. He has also been honoured in 1997 with a National Award from the Lalit Kala Academy and the AIFACS Award, at the show `50 years of Art in Independent India` in New Delhi. Rajendra Tiku is an Indian sculptor and art teacher known for his outdoor stone sculptures. 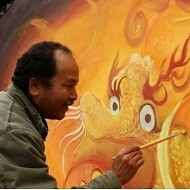 He is known for his expertise in the art of ancient cultures and modern masters. Tiku works with wood and stone, some of it bearing associations with architectural elements. His work is metaphoric using coloured threads and inscribing graffiti on wood or stone. He likes to generate the ambiance of sacred around his sculpture. Clever use of cracks and breaks in the block of stone creates an aura of a relic form the past. A sense of history breathes another dimension to the roughly carved sculpture. Born 1953 in Wadwan, he received his Bachelor’s degree in Science and Law from Kashmir University and completed a five-year training in sculpture from the Institute of Music and Fine Arts in Srinagar in 1978. Over the years, Tiku has received many awards in recognition of his work. He received the National Award for Sculpture in 1993 and the 8th Triennial India (International) Award in 1994. In 1999, he was conferred with the distinction of being an “Eminent Artist” by Lalit Kala Akademy, the national academy for fine arts, New Delhi. In 2005, as part of international recognition, he received Pollock Krasner Foundation (New York) Grant for advanced work in sculpture. In 2013, he was bestowed with the Padamshree, the highest civil honour of India. Tiku’s works have been exhibited all over the world for many years. He lives and works in his native state of Kashmir. Jagannath Panda's paintings and sculptures are often inspired by Orissa, his native state in India, and his current home outside New Delhi, in the rapidly-burgeoning suburb of Gurgaon, Haryana. Born 1970 in Bhubaneshwar, Panda completed his B.F.A in sculpture at the B.K College of Arts and Crafts. He received an M.F.A in sculpture from the Royal College of Art, in London, and was also a visiting researcher at the Fukuoka University, in Japan. He has exhibited his work at many galleries and museums in Mumbai, London, New Delhi, Tokyo and London and Berlin. He has won India’s Lalit Kala Akademi Award and the All India Fine Arts and Crafts Society Award. He lives and works in New Delhi. Kishore Shinde is on a quest to find a visual language that reverberates with an energy that signifies the ethereal. As the artist states, "While standing in front of the white canvas space, the inner eye opens. As my body responds, abstract versions of rhythm, builds visual syllables and symbols. This in turn renders meanings in nonfigurative modes. Myriad colors fill the spaces. I am painting in a cathartic fervor." Shinde's canvases are his playground of free spirited application of paint laden with an emotive context. Though seemingly unplanned the artist is conscious and specific of the colors he chooses to let loose in his works, "The paint packed in the factory is detached – away from human emotions. But, while becoming a painting it goes through a process of attachment, taking life from the artist to live its own." The heavily textured and layered canvases are structured to a visual trajectory which speaks a language of non figurative symbols. 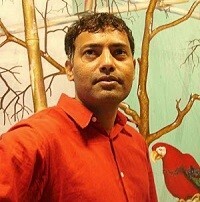 Born 1958 in Baroda, he completed his Diploma in Painting from MSU, Baroda. 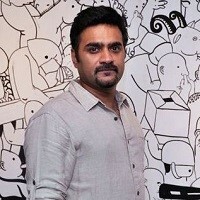 He has participated in various solo and group shows and exhibitions in Delhi and Hyderabad. 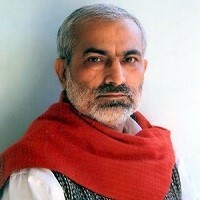 He received the National Award for Painting in 1998 and the Gujarat State Lalit Kala Akademi Award in 1978. His work is in the collection of the National Gallery of Modern Art, Delhi, the Lalit Kala Akademi, Delhi, and several private collections. Has held solo exhibitions of his work and participated in several group exhibitions. His work is in the collection of the National Gallery of Modern Art, Delhi, the Lalit Kala Akademi, Delhi, and several private collections. He lives and works in New Delhi. 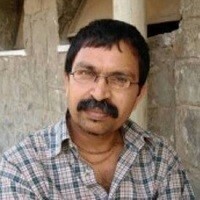 Manjunath Kamath tells stories with his images. His narratives, however, are altered and adjusted constantly, adapting fluidly according to the environment they are narrated in, and resulting in a different meaning each time a story is told. As a visual artist, Kamath feels impelled to regularly reinvent his method of storytelling. By relentlessly working on his articulation and modernizing his techniques, the artist continuously updates his visual vocabulary. The artist’s need to draw and hold his viewers’ attention is palpable in his varied use of painting, drawing, sculpture and video. With the help of these disparate genres he creates narratives that are gripping in content, even though they are composed of simple, commonplace elements. Thus Kamath’s forte ultimately lies in creating fantasies out of the ordinary. Born 1972 in Mangalore, he completed his BFA from the Chamarajendra Academy of Visual Arts, Mysore (1989-1994) and was artist in residence at the School of Art & Design, University of Wales, Cardiff (2002). Kamath has presented his work in numerous group shows and has been invited to participate in a number of curated exhibitions, both in India and overseas. He has been awarded with Charles Wallace Scholarship, UK. He lives and works in New Delhi. [Artist’s Statement] I first encountered western art when I was a young boy studying in one of the first exclusive public school in Thimphu. Leaving my conventional English school, I spent several years as an apprentice studying religious and mythological art of Bhutan at the National Fine Art Center. After the apprenticeship, I joined the service of the Royal Government as an illustrator/designer for the Development Support Communications Division. I produced a development communication artwork to enhance development programs of the Royal Government. In 1991 I won a scholarship from the British Government to study western art at the Kent Institute if Art and Design, Maidstone, University of Kent in England. I graduated with a first class Honors Degree in Communications Media (Design Pathway) in 1994. I continued working for the government and took an early retirement in 1997 to paint and founded VAST Bhutan with two other artists. Till date VAST has tutored and counseled more than 2000 young people ranging from delinquents, high school students to out of school youth. I have acquired a wide range of experience in both styles and methods which can be instrumental in combining the rigorous and structured traditional style with more easily flowing / expressive form of contemporary art. This helps me to be mature in a direction that I am comfortable with and uniquely my own. Bhutanese subjects and Buddhist iconography are my main themes with combination of modern and traditional techniques as I have an enduring fascination for textures, movements and many symbols in the Bhutanese culture. I have been exploring this aspect ranging from temple walls to spiritual horses that we see on prayer flags. As a torch-bearer of Contemporary Art in Bhutan, I am fully engaged in dedicating myself to the issue of Bhutanese contemporary art and helping the youth of Bhutan. With full support and dedication from my students and fellow artists we would like to take Bhutanese art to new heights without compromising our age old traditional art. [Artist’s Statement] While I have identified as a contemporary artist for more than 17 years, I still see myself as a student of art, always seeking out opportunities to learn about new techniques, styles and traditions. 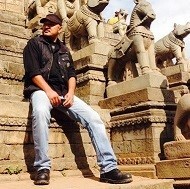 As an artist I am greatly inspired by the endless creative possibilities that come from combining the richness of Bhutanese visual heritage with the infinite range of art techniques including watercolors, acrylic, sketching and mixed media, and have also attempted many forms, be it abstract, conceptual or realistic. I am currently excited by the challenging freedom of working in watercolors. I relish the power of suggestion, how the angled flow of a single stroke can convey movement, physically, or in thought. My work frequently responds to and engages with traditional Bhutanese art and its religious themes. For example my art often explore Buddhist spiritualism, both its abstract intangible philosophies and its manifestations in everyday life such as symbols, personalities, practices and the human landscape of faith and beliefs. Much of my work attempts to re-imagine these Buddhist concepts, freeing them from their expected, familiar traditional contexts and allowing them to shift into new creative directions. A current preoccupation is how to artistically express and explore my own questions about the impermanent and illusionary nature of human life and existence. 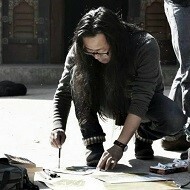 My journey as an artist has enjoyed the dual blessing of being born in a nation like Bhutan, which has a strong, vibrant and colorful tradition of art and being involved since childhood with the Voluntary Artist Studio, Thimphu (VAST), where I have been constantly exposed to new artistic styles and traditions. VAST is more that just a art center or even a place to learn art--it’s a vibrant, inclusive community, which trains, supports, and inspires young contemporary Bhutanese artist like myself to create and explore. I am proud to be a founding member of VAST, proud of the accomplishments of my fellow VAST artist, and proud to have learnt under the pioneers. And finally, I am proud of my continued association with VAST as I help to teach and nurture a new group of promising young artists. Contemporary art is relatively new in Bhutan and as a contemporary Bhutanese artist I recognize both the challenges and opportunities of this circumstance. We are still learning to understand and connect with new ways of expression. However, I see being part of the first wave of contemporary Bhutanese artist as an honor and I feel privileged to be among the first to re-imagine, re-shape particularly Bhutanese experiences, beliefs and landscapes without being overly influenced or limited by someone else’s interpretations. I hope every piece of work that I undertake has the potential for both myself and the viewer to interpret and represent our world with a fresh and untutored perspective. I know this is both an exciting opportunity and huge responsibility, both of which I embrace. [Artist’s Statement] As a small boy of eight or nine back in the village, where paper and pencils were luxury items, my young uncle (maternal) use to draw small designs on full scape paper or wooden planks, it use to be a mesmerizing affair and getting inspired was only very natural. Later, as I passed out from the Primary school and joined the junior high school, color brushes and drawing books were very generously supplied by the Government and the passion started flowering. Every year the painting competitions use to be my favorite show and getting awarded was easy. Also the Award that I received in 1975 motivated me to paint more. And in 1984 when I joined the Government Service I could buy the materials and paint my favorite subjects in the evenings or during weekends. Ultimately, after serving the government for more than 23 years I resigned in 2009 and perused my passion and in March 2012 I was able to open a small gallery in Thimphu and by 2013 I could expand my gallery further. [Artist’s Statement] A jack of a few trades and a master of none, the many things that interest me, the things that are employed to tell what needs telling, often overwhelm me, as I try not to sink but swim, or rather, at least float amidst the flotsam and jetsam that surround me, the debris of a mind of a thousand stories which waylay me as a seeker, gleaning a word here, a color there, trying to weave meaning into a tapestry that would wrap me against the cold nights of infinite probabilities. In short, what I mean is, I normally don't know what I am doing most of the time. More than a decade ago, Karma Wangchuk painted once in a year to maintain sanity; moral sanity. He has been painting instinctively, albeit not spontaneously, regretfully. His journey and relationship with the canvas is long and arduous, much like his relationship with those people who know him well. He claims his obsessive and passionate observation of nature in lengthy solitude, in his little hometown of Gelephu, has taught him the arts. Blowing hot, blowing cold, finally at 40, relatively new to painting and film-making, he strives to find a delicate balance of the two. The first India-Bhutan Cultural Exchange and Art Camp was held from 14th to 18th June 2016 in Paro, Bhutan. 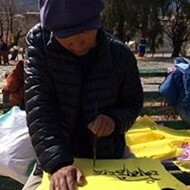 Five artists from Bhutan and India participated in the Art Camp.